Experience the Old West and play some poker as outlaw Arthur Morgan in @RockstarGames' Red Dead Redemption 2. You can play Red Dead Redemption 2 on PlayStation 4 and Xbox One starting Oct. 26. 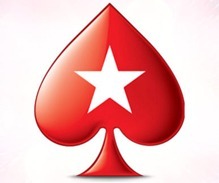 Poker fans with an interest in video games have a new challenge to check out. The recently released Red Dead Redemption II from RockStar Games offers players a trip back to the Old West – complete with some poker action. As players saddle up for the trip, RDR2 offers them a unique take on video games. Red Dead Redemption II is set in 1899 with cowboys and outlaws on horseback traveling across the range. Saloon fights, shootouts, gunfights, and unique locations ranging from forests to deserts are all part of the fun. Gamers play the part of an outlaw Arthur Morgan, who is on the run and must devise more schemes to “earn” a living and stay free from a jail cell or a lawman’s bullet. In this sequel, players come to know the characters who drop in and out of its western world. Players constantly engage with this independent world around them, even being able to talk their way “out of trouble with the town sheriff,” as the trailer noted. Players make enemies or friends, depending on their own choices. Arthur’s treatment of and choices of his horses even have consequences in his world. The law, bounty hunters and other outlaws aren’t the only enemies Arthur must worry about. The game’s graphics look impressive and Red Dead Redemption II aims to make you feel like you’ve taken a time machine back to the 1800s. The world is rich and detailed, with every possible angle and scenario that could be dreamed up for the Old West in the late-1800s – and that includes poker and gambling. 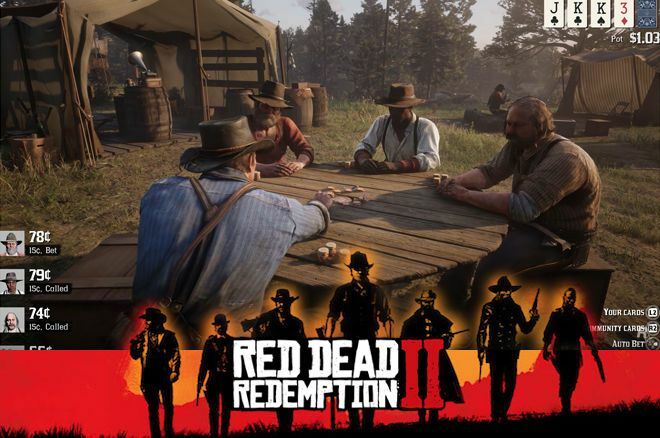 While the outlaws and outcasts are in camp plotting their next move, players have the chance to play some Texas Hold’em against their fellow outlaws. The poker scenes make for a real throwback to Old West gambling. Grizzled outlaws in cowboy hats sit at a rugged wooden table playing for pots that may reach a few dollars at first but soon enough reach triple digits. The gambling is a carryover from the original game, which also featured Texas Hold’em and blackjack. 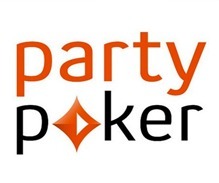 The first version even allowed players to go online and play poker with up to eight players. Those winnings allow for purchases within the game world. The company even released an expansion pack called “Liars and Cheats” that, along with adding more features, greatly expanded the game’s gambling options. “One of the most fan-requested features comes to Red Dead Redemption multiplayer,” the RockStar website notes. “Anywhere from two to six players can compete in a variety of different locations, and all players begin with a $200 daily gambling allowance. Once you run out, you will have to wait until the next day before your funds are replenished. RockStarGames.com notes. The game will be released Oct. 26 on PlayStation 4 and Xbox One systems. A version for the PC hasn't been announced yet. Like in any poker game, you can win by being the better player, or by cheating. One is more honorable, but in a video game against the AI, a little cheating doesn't hurt anyone, right? The game is just out and we're looking into all the details of the poker game as we speak. The first hand you'll play will most likely be one with . Winning this hand is easy, you'll make two pair on a board of and can just bet and raise as much as you feel like. But try not to scare your opponent into folding, so distribute your bets throughout the poker hand. One opponent has while the other has meaning you sucked out on the latter. After that hand, the cards are randomized so it's very well possible you get a set over set situation like we did. While the cards are random, poker remains a game of skill so you have direct influence on the outcome of the game. After playing the initial game close to the city of Valentine, you'll unlock a poker game set back in camp at Horseshoe Overlook in Chapter 2 of the game. Anytime you're back at camp, you might find opponents to play against. Later in the game, you'll play for much higher stakes than you start out with. Learn the poker rules by visiting the Poker Rules page we have available. Download the Hand Rankings (PDF) and print them out so you know what the combinations in the game are worth. Look up the poker terms and jargon you don't know, all readily available on our Poker Terms page. That way you know what 'betting,' 'raising,' and 'calling' actually mean. Once you have the basics down, visit the poker strategy section and learn all the advanced poker theories out there. If you're getting the hang of it, and like some more poker in your life, we have some good news for you! Poker is available worldwide, where you can play for real money against people from all countries. 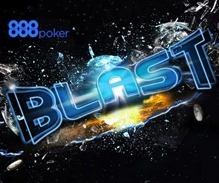 Give PokerStars, partypoker, or 888poker a try. Those are the biggest online poker rooms around, with besides Hold'em a ton of different games on offer as well. Deposit bonus of up to $500 + Get up to 40% back every week! The new BLAST Sit & Go is an exciting Sit & Go game where you could win big! Right now, we're looking into the options to cheat in the game. Right now, we haven't learned of any way to cheat at the game. It might be part of a DLC as it was with the original Red Dead Redemption, or be learned at a later stage in the game. It's very likely there's a built-in option to cheat, as there was one in place in the original Red Dead Redemption. In that game, after getting your hands on the Elegant Suit, you had the option to hide a card at the bottom of the deck and use it whenever you wanted. That proved to be a valuable advantage, as tricking the NPC's into calling with an inferior hand, wasn't too hard. RockStar games brought gambling to GTA even before Red Dead Redemption. A casino is part of the action in this one with players heading to a casino for blackjack, video poker, roulette, wheel of fortune, and slot machines. There is even an option to borrow from the casino, but not paying the cash back can have some rough consequences. This sequel allows for casino wagering via The Lucky Simoleon Casino, which is available for download purchase. A blackjack table and slot machines are available along with a poker and roulette table. The game isn't too deep - it's The Sims we're talking about after all - but it does give the player a good first impression of gambling. No texas hold'em poker, it's mostly slot machines that fill this add on. Set in in the tropics where players battle pirates, this game has some pretty heavy offerings according to Haogamers.com. The site notes: “The gameplay takes place in secret back rooms with random opponents and follows the straight-forward Texas Hold’em rules. Each opponent plays a little differently, and knocking them out will eventually gain you a poker bonus award. Besides the optional mini games, there’s an entire mission centered around a rather tense poker match when you get to part 35 of the story.” If you’re into video games and poker, this one might be worth a purchase. This game was released by Activision in 2005 during the height of the poker boom. The game was available for GameCube, PlayStation 2, Xbox, and PC also brought two sequels. The game had a variety of games beyond Texas Hold’em including Omaha, Omaha Hi-Lo, Seven Card Stud, Seven Card Stud Hi-Lo, and even Razz. Players could create their own characters and square off against some of the game’s best. The Tournament of Champions sequel even allowed players to battle it out against pros like Chris Ferguson, Scotty Nguyen, and Joe Hachem. Sean Chaffin is a freelance writer in Crandall, Texas. His work appears in numerous websites and publications. Follow him on Twitter @PokerTraditions. He is also the host of the True Gambling Stories podcast, available on iTunes, Google Play, TuneIn Radio, Spotify, Stitcher, PokerNews.com, HoldemRadio.com, and TrueGamblingStories.com.